Thank you all for accepting such of me. Seulgi-chan made the breakfast with French toast and fried egg. Matsumoto-chan made the coffee latte. Masa ordered pizza because it's raining outside. 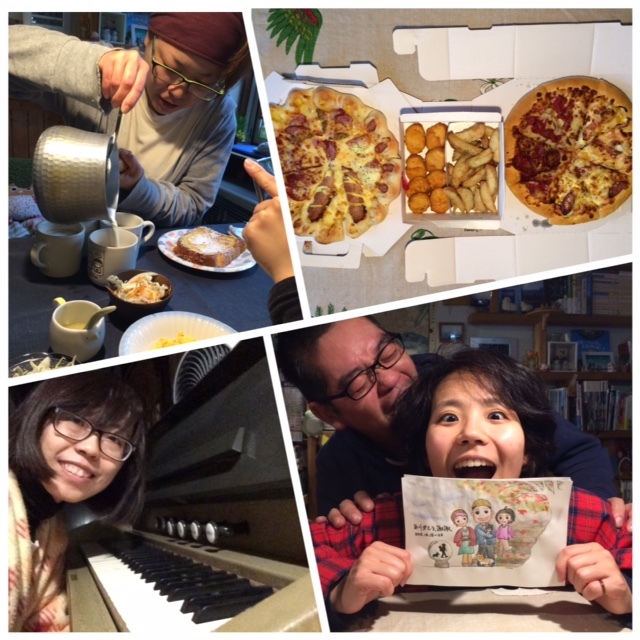 After work, we had a pizza party!! The morning and noon Sapporo beer are good~~~~~the limited production!! 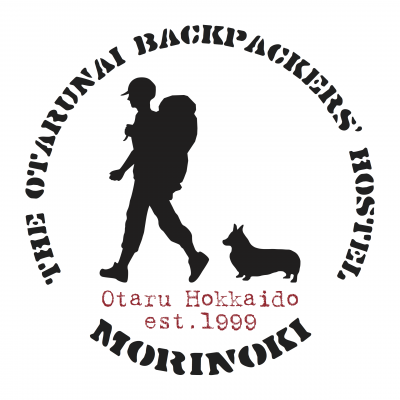 There is warm, peaceful and joyful atmosphere inside MorinoKi. 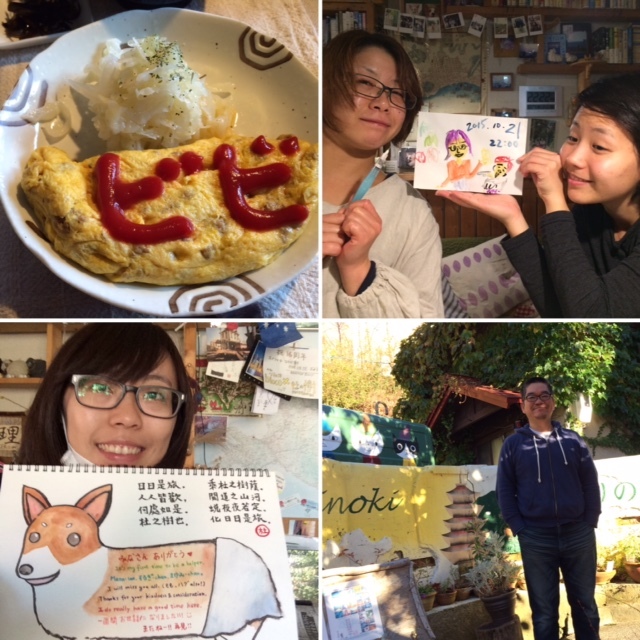 I stayed here and spent whole day writing diary, postcards, and drawing paintings. The day just passed by silently. Later, I played the harmonium stood on the hall in the evening. Although it is old and not works very well, the harmonic sound let me feel restful. And thanks to Seulgi-chan to make pasta to me! In the night, I gave the paintings of MorinoKi to you all for thanks caring. There's Masa-san, Seulgi-chan, Mayumi-chan, momo, hug on it. 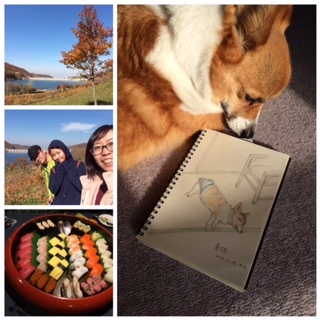 After today's work, Masa took us to オタルナイ湖. There is a big lake for water storage and the mountains surrounded. The mountain is so colorful in autumn. I'm happy to be here right now. In the afternoon, sun shined through into living room. There's so warm in sunshine, dog and cat lay down and fell asleep. I really enjoy this moment. Silent, peace and warm. I draw a sketch for Hug-chan. Since here came a familiar guest tonight, Masa-San called the sushi takeaway! I felt satisfied and 幸せ today. I went to a cafe shop はち, it's very warm inside there. 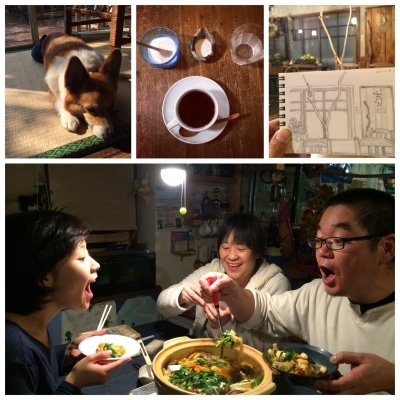 Today's dinner began from 18:30. Everybody get together around the hot pot and eat, talk, laugh. In the later night, I arrange the travel schedule after leaving here. When I walked back from cold night outside tonight, looking at the warm yellow light and saying ただいま. When we ate hot pot and saying 暖かい. When I concentrated on scheduling and suddenly heard the sound of snore, Masa and the cat fell asleep. Let's clean inside and outside because it's a sunny day! In the afternoon, I went to the river again. There's so many tourist because today is Saturday! I just stood at the riverside and practice stretching. It's my first time to eat spaghetti in Japan. 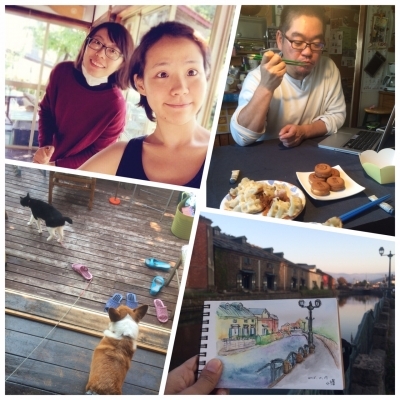 There's amazing view in Otaru park. Since it's a big sunny day, we can see the colorful mountains, 町, and the ocean. 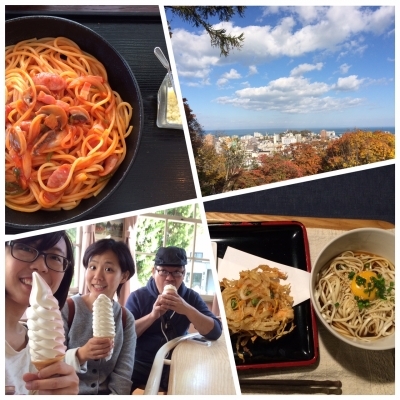 Finally we went to eat the 一番のアイスクリーム in Otaru. And Seulgi-chan finished it easily. Awesome! Today's dinner is Udon made by Mayumi-chan. Still delicious! 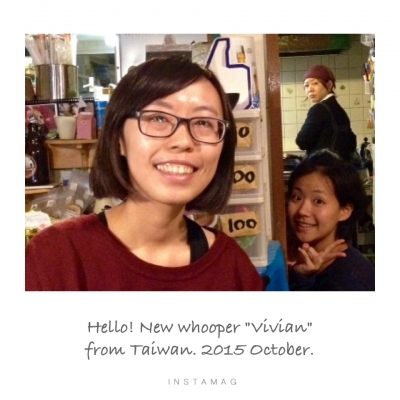 I'm Vivian who come from Taiwan. It's lucky to use 秋の乗リ放題 JR 3days pass for celebrating 10/14 railway's day! I used it to go to 稚内 and 宗谷岬, the northernmost of Japan. I'm really enjoy in taking train since the landscape is so beautiful in Hokkaido. Today morning I came from Nayoro and took the JR nearly all the day. The people are so nice here. 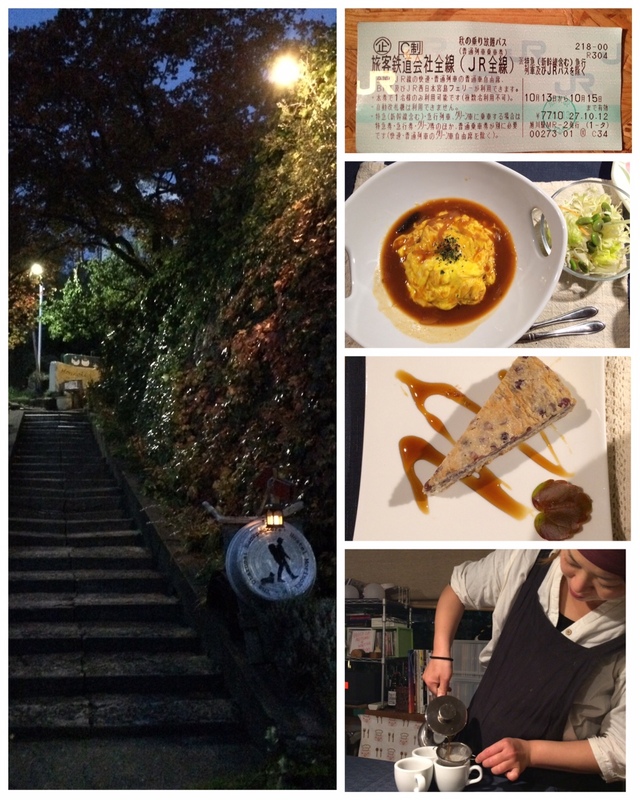 Mayumi-chan is a great chef! And here comes an old friend of MorinoKi, Mu-chan. She is also a Taiwanese so we have a good talk. I think there is a magic place to meet people.